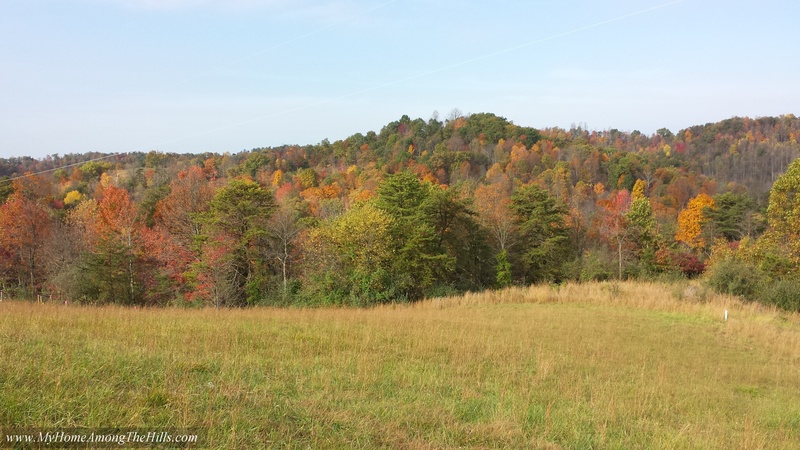 So, last weekend, we decided to take a quick trip to PA to visit my family since we were not going to travel over the Thanksgiving rush. 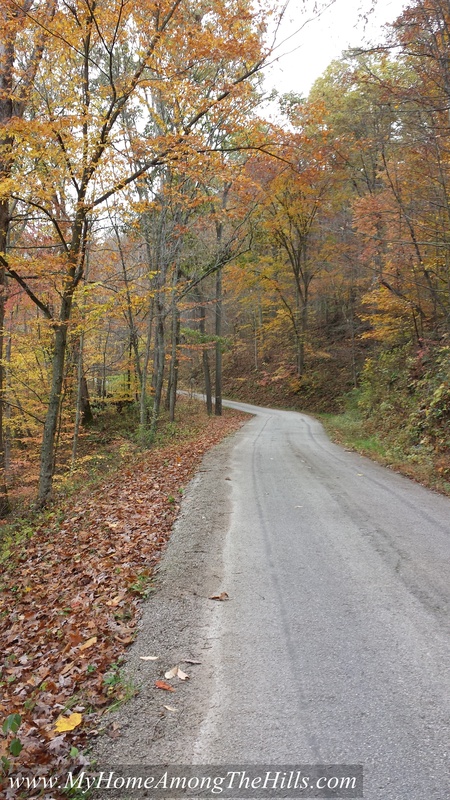 We all had Monday off so we decided to leave WV Saturday morning pretty early so we could get to my parents’ house around lunch time. 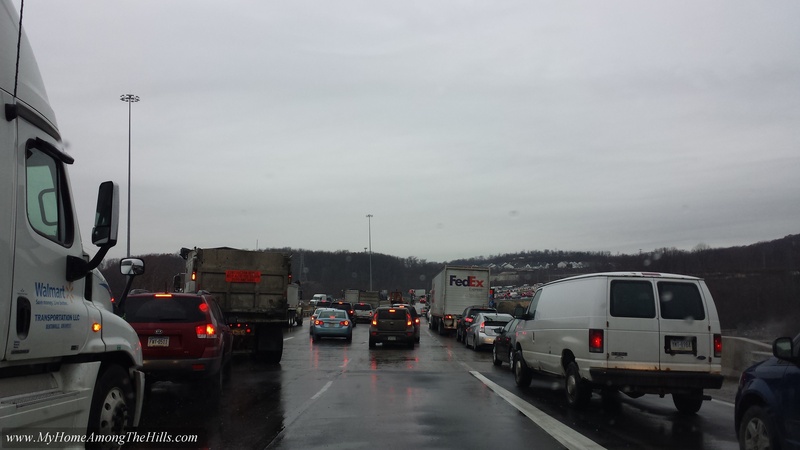 We were making good time until right around Pittsburgh where it started raining…no worries, right? People drive in rain. It wasn’t 2 minutes after we hit rain when traffic came to a complete halt on the interstate. We sat for only a few minutes and then started easing forward. We stopped again on a long bridge where we could see the traffic ahead. As we sat watching the wreck clean-up, vehicles around us started sliding down the slope of the bridge….from a stand-still they were just sliding! The rain was actually ice and it was really bad! We took it easy after passing the 6 vehicle wreck for a few miles until we came upon another stand-still. When it was all said and done, we ended up sitting in the second mess for over 2 hours. Salt trucks were trying to get by to treat the roads but were sliding sideways as well. It was fairly terrifying as semis were jack-knifed around us and all sorts of people were helplessly sliding…again, from a stand-still. We checked online maps and there were 8 closures between where we were and where we were trying to get. Since we were still sitting on the interstate around the time we planned to get to my parents’ house, we decided to call it a day. We finally got moving again and took the next exit to find a hotel. 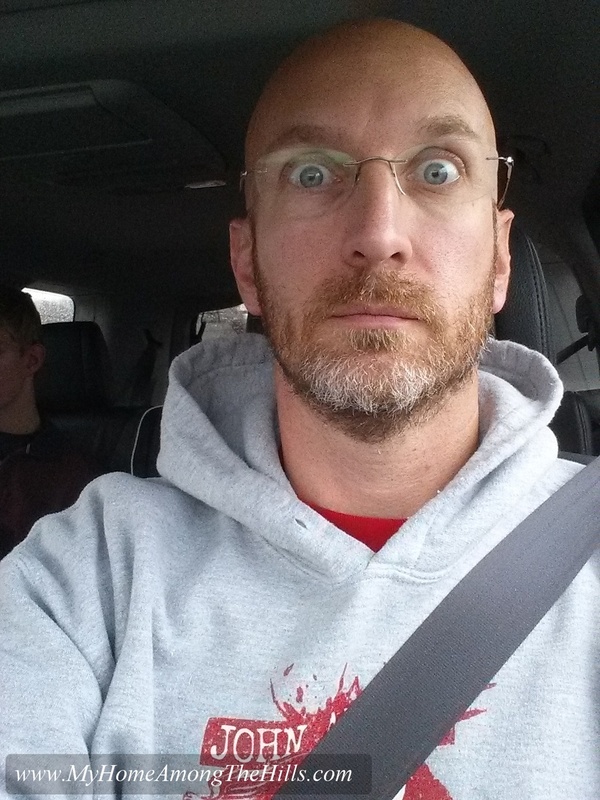 It ended up being a pretty fun time despite this appearance of the selfie I took in the car. We ate a nice meal and watched a movie together. It’s always fun when we get a chance to hang out in a hotel…without the usual home stuff to do, we get a chance to just goof around together…always a good thing! So we made it to my home town on Sunday afternoon for a really quick visit so everyone could see my Novembeard crop which is much grayer than it was last time I saw my chin-whiskers…This weekend, it has got to go! It seems like we have been working on our cabin for a hundred years. I guess it hasn’t been that long, but if I had hair, I am sure it would be a bit grayer than when we started. Nothing has gone wrong, but it is just a slow process for us to build the whole place by ourselves. We finally decided to help a little with that exact problem. 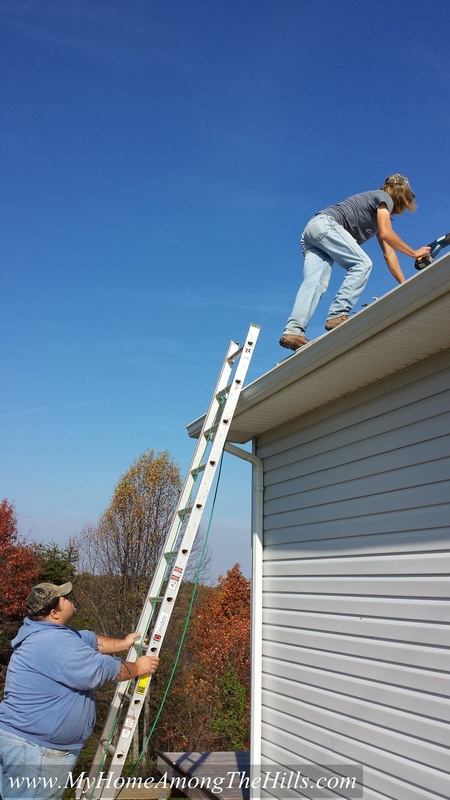 Some folks who live up near our place are skilled at roofing and other things of the like and were willing to help us get a roof on the porch that my brother and I framed up a year ago. 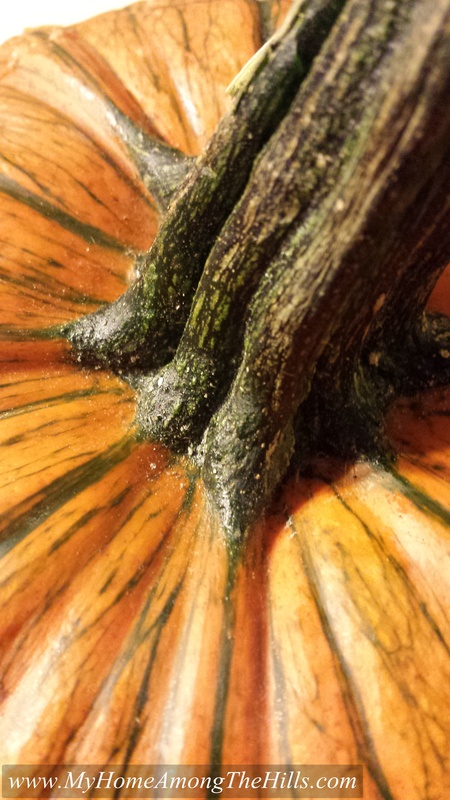 We sort of do work as it seems necessary, and lately, interior things are taking precedence. 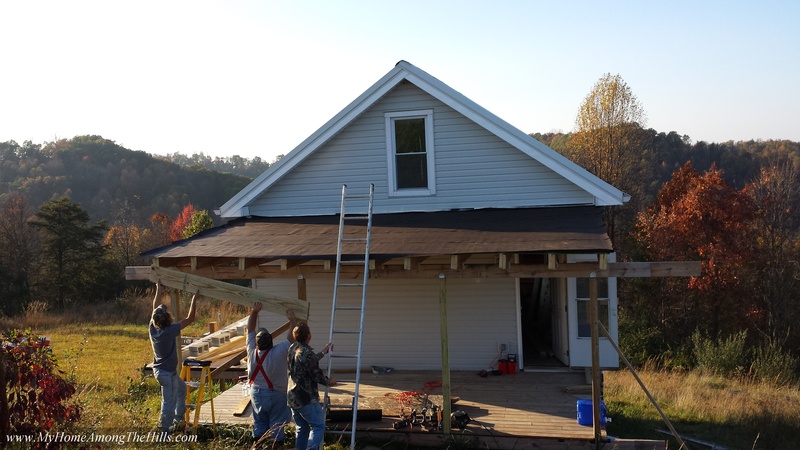 We framed the roof a year ago because I need strong backs and weak minds to lift the beam that holds the porch roof out at the end of the porch. My brother was in town a year ago and fit the bill nicely so we framed it up while he was around. The roof itself was not critical and was low on the list. The lumber we used for the frame was treated wood so it had no problem being in the weather. We finally figured that although the lumber didn’t mind the rain, we did. When my neighbors agreed to do some roofing, it seemed like a perfect opportunity and they did a heck of a nice job roofing our porch framing! It is absolutely wonderful to be able to get out of the rain when we work out there now! 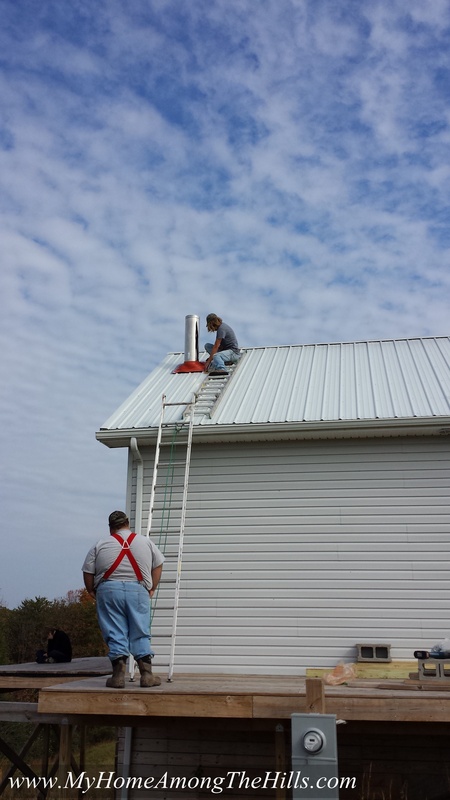 In addition to the porch roof, the guys got up on the roof of the house itself, a 10/12 pitch roof, and poked my chimney pipe through so we can install the wood stove we bought two years ago. We had to use an ugly orange silicone boot to seal the pipe opening from the weather but I guess it doesn’t look too bad. It’s on the side of the house you don’t really see much anyhow. And for the ability to have a wood fire to keep us warm, I can handle the looks! 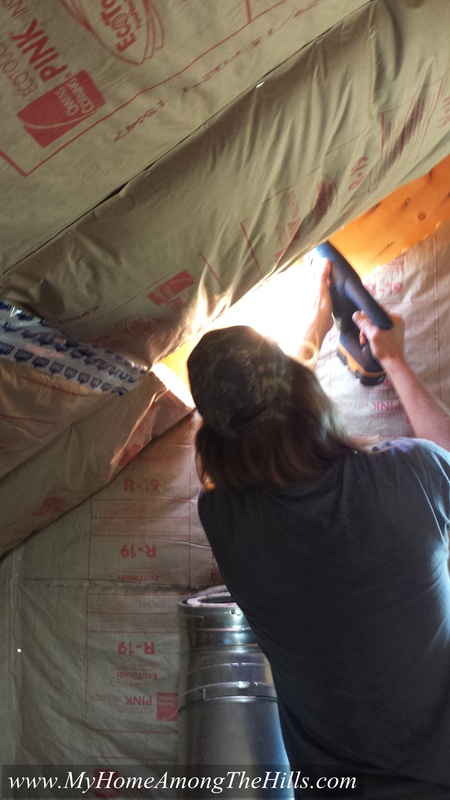 While my friends worked on those things, Emily and I continued hanging drywall and bead board on the ceilings. It is sort of miserable work hanging any sort of wall covering, but we are mostly pleased with the results. It’s not so bad working inside this year as we also got our baseboard heat installed. I wired in a total of 5 baseboard heaters to the house and it keeps the place evenly and toasty warm! We will burn a fire when we are there, but the main source of heat will remain electric. With the improvements we have been making lately, it actually feels like we could almost live in it pretty soon! I am so excited to be able to head out to the place and just goof around! I know we will find endless projects, but it will be nice to have a place to go and relax between projects! I expect we may even spend a little time with all of our neighbors enjoying the wood fire in the winter and the front porch in the summer! So, when I was a kid, probably about 8 years old, my parents got for me a Fisher-Price record player for Christmas. Honestly, I think it is probably the gift I remember more fondly than any other I received as a kid. You see, we had a great record collection in our house. It might not have been huge, but it was diverse and pretty interesting to an 8 year old. There was CCR, Conway Twitty, and Victory at Sea…Elvis, Dino, Jim Croce, and Hank Williams…all sorts of classical music sets and holiday lps as well. My Mom had a bunch of 45s from when she was a teenager that I loved. It was a bit of a wonderland to my brain! So, when I got my own record player, you can imagine that I really owned that record player. I instantly became a little more sophisticated I guess. I could control what played and when. I could change records whenever I wanted and I could imagine a world that matched the music I played. At some point, I got a cassette recorder and started my own radio station with the records I played…”This is Little Warren on WWAR radio spinning another favorite, Hound Dog Man by Fabian…” I recorded all sorts of long shows…some rock, some classical, some country. I was a real DJ in my mind, recording my records and voice-overs onto cassette tape. Jump forward 35 or so years and my parents brought a bunch of my old things they discovered as they cleaned out their attic…including my old record player and the 45s I loved as a kid! Just a few weeks after that, I found new-old records for sale for $0.15/each at the local library. It sort of just clicked, but I knew that my old (and now new-to-me) vinyl was calling my name, begging to be played once again! 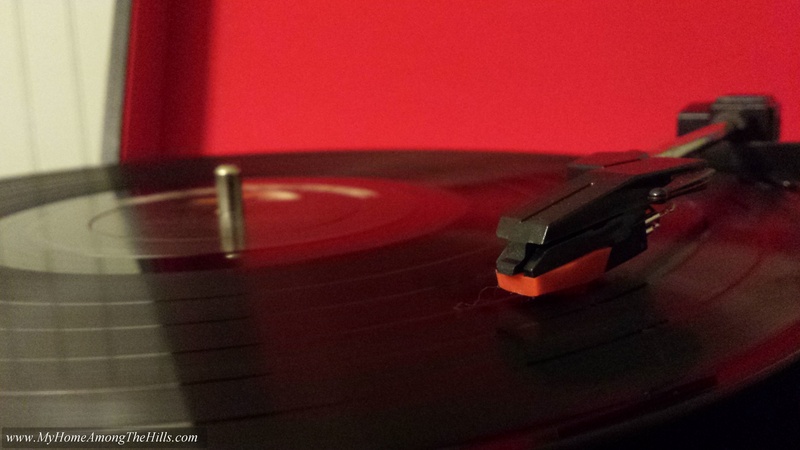 I tried my old record player and it worked…sort of. I am no audiophile…in fact, I love the pops and clicks of a record player…but the old record player was just not going to cut it. 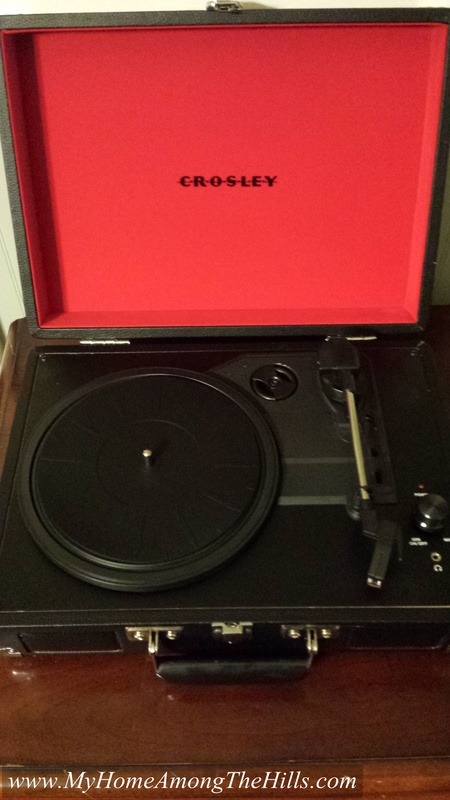 I hemmed and hawed and finally found a few extra dollars and decide to buy a new Crosley Cruiser record player. Some folks online complained that the Crosley was a cheap player or that it sounded bad. I figured that my not-so-keen ear and my not-so-carefully-stored records would never know the difference and I was delighted to find that the Crosley played even better than I expected! 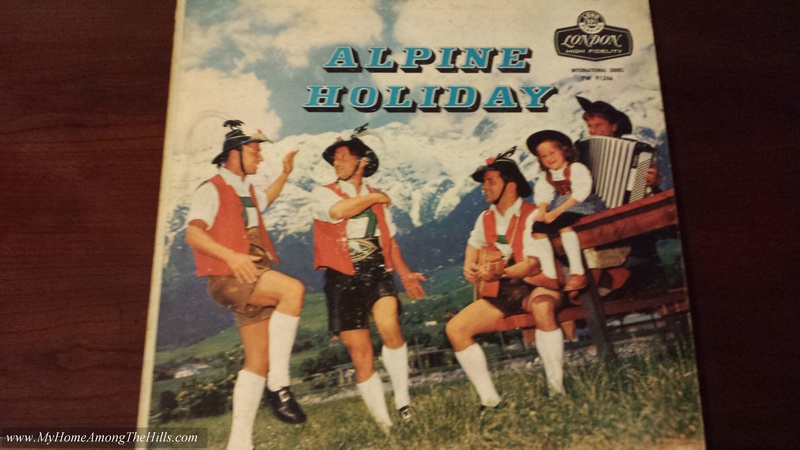 Awesome record I found…Alpine Holiday! I fired up the old tone-arm cobra and spun the first record…Glen Miller’s greatest hits. We played some of the Ink Spots and than an oldie but a goodie – Alpine Holiday…that’s right, it is a record filled with Alpiney sounds of yodeling and oompas and the like. Abigail and I danced some and we made the record skip a few times. It was perfect! Sure, it’s a lot different than CD or mp3 music but it just has a different feel to it. Old records just sound right to me I guess. I don’t really want to be a kid again, but I loved remembering back to that time and I love hearing records I hadn’t heard in a long time! So…the reference to tone-arm cobra…anyone read my mind? I am a M*A*S*H guy and Season 6 had an episode called “Your Hit Parade” where Radar plays a bunch of records the unit received (instead of medical supplies) as the staff patched up the mass of wounded troops. He had to stop playing at one point, telling his listeners about their request, “It’ll be coming to you as soon as I put a new fang on the old tone arm cobra.” I guess it’s funny but that episode stuck with me and I always call a record player “the old tone arm cobra”…weird, I know. We have had our chickens now for half a year or so. They are a lot of fun and offer a great source of stress relief. Abigail in particular has found that sitting in the yard reading a book while they hens roam about is a great bit of fun. Aside from the fun part, of course, they give us eggs. 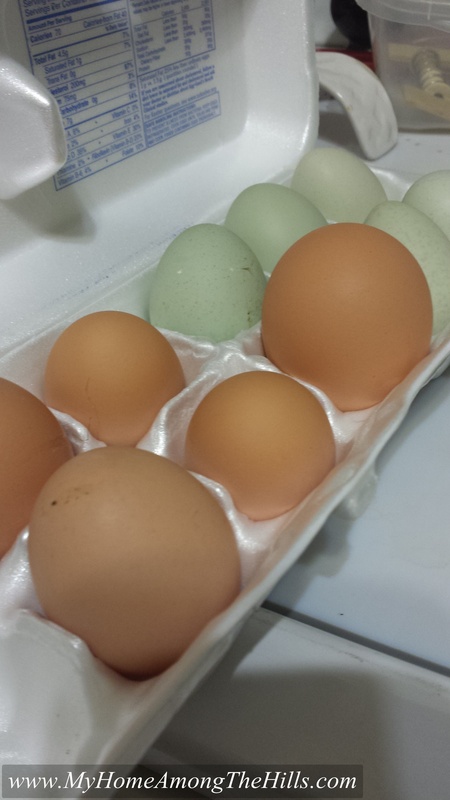 I never realized all of the oddities of fresh, home-grown chicken eggs. Many of you chicken experts probably know these things, but we have found interesting tidbits from having the birds. 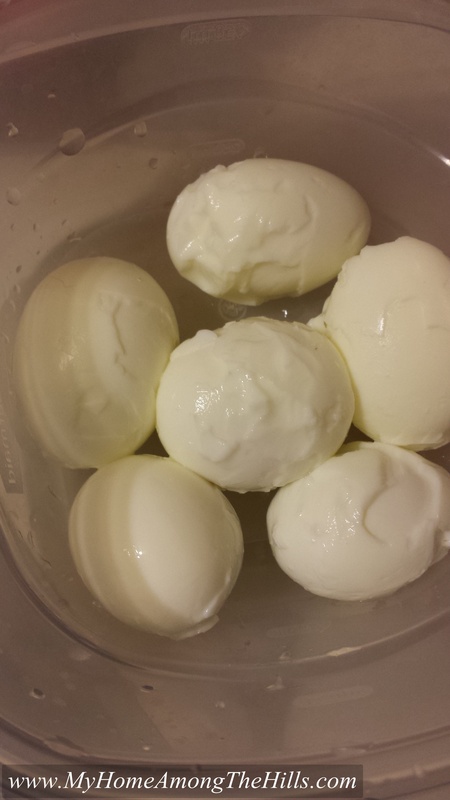 For instance, did you know that hard-boiled fresh eggs are dang-near impossible to peel? 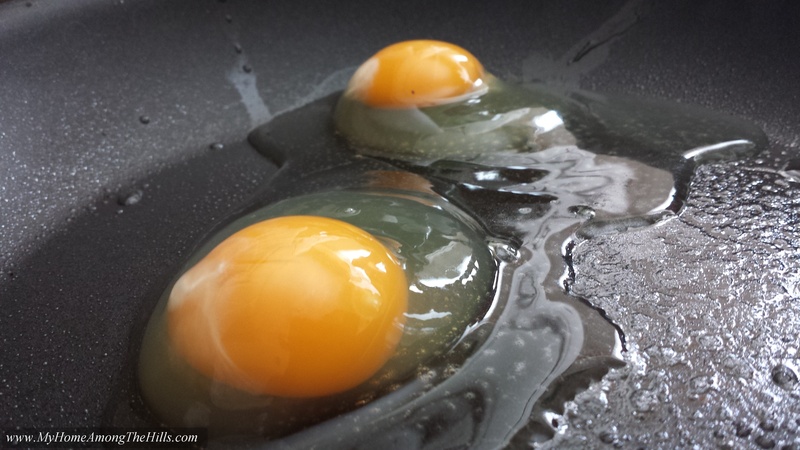 The protective coating on the eggs keep carbon dioxide inside. 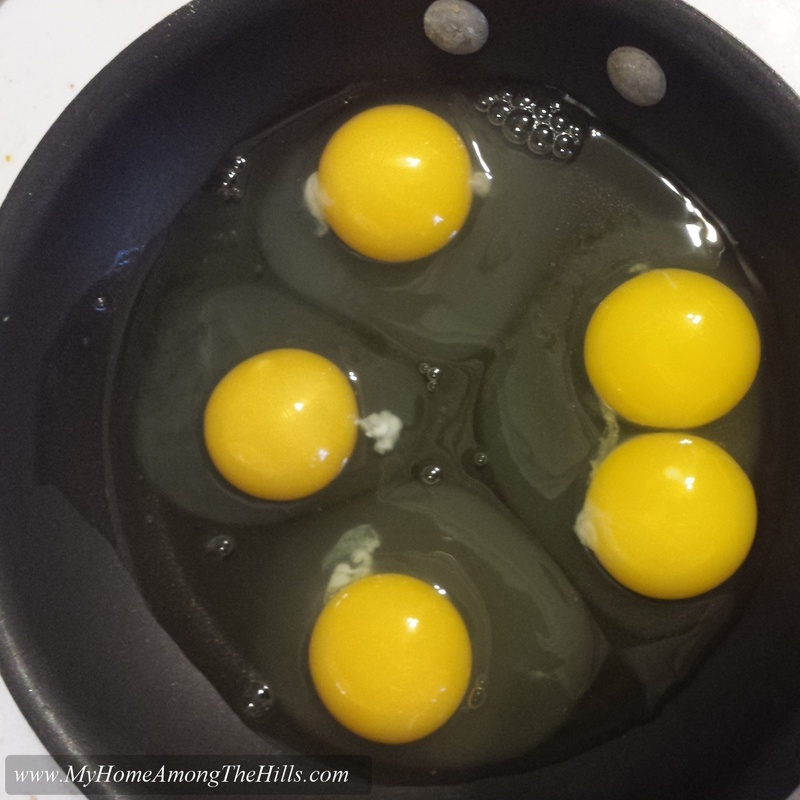 As eggs age, the coating wears off (or, with store bought eggs, is washed off) which makes the shells more porous. Carbon dioxide leaves the eggs, the pH increases quite a bit and the inner membrane separates from the shell making older eggs easier to peel. There are all sorts of alleged magical ways to make fresh eggs peelable but I haven’t seen them work yet…so we let eggs age some if we want to hard boil them. Did you know that eggs vary A LOT in size and shape? 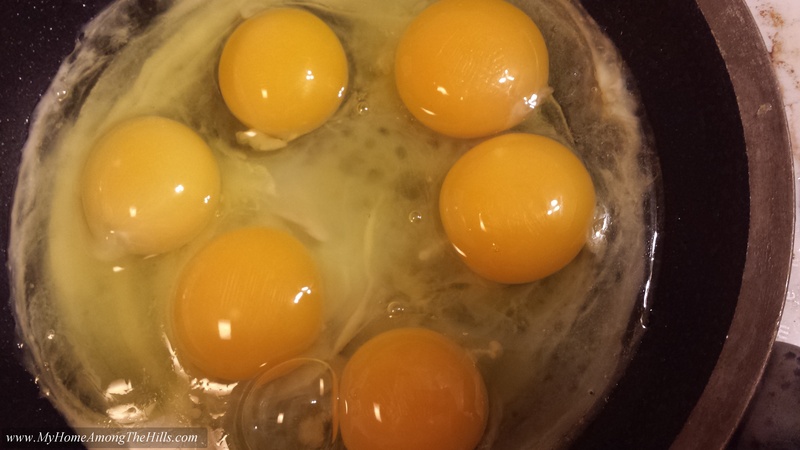 We have seen monster eggs, nearly spherical eggs, double yolks, tiny eggs, elongated eggs. It’s always a lot of fun to see what the hens lay day-to-day. 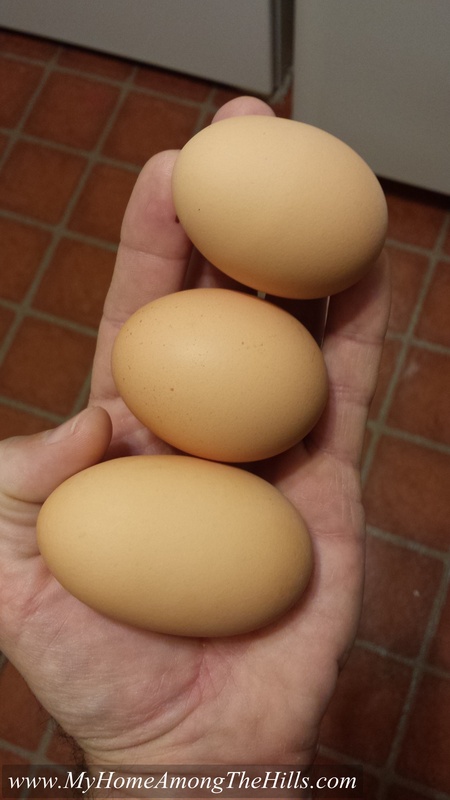 We average 4-5 eggs per day from our 5 hens…one Easter egger (or maybe both) are not 100% layers but the brown egg layers are super reliable. The color of the yolks in fresh eggs (at least in our coop)are deeper yellow, larger and firmer than in store bought eggs. Their shells are harder to crack and feel heavier in general. There may be breed differences and there are certainly dietary differences between my birds and factory birds so who knows what really is the cause, but it is a striking difference. Some people say the fresh eggs taste a lot better. I know mine are better because my chickens are never given shots of medicated food or anything that a big chicken farm might give their birds to eat. Can you pick out the 2 store bought eggs? Mine get to stretch their wings and run around and act like chickens act…which is crazy…I never really understood the phrase, “You’re a chicken” until I watched the hens jump at a gust of wind or run from a falling leaf. So maybe it is the surges of adrenaline they get running from their shadows or maybe it’s the diet or maybe just the breed that makes their eggs different, but different they are. 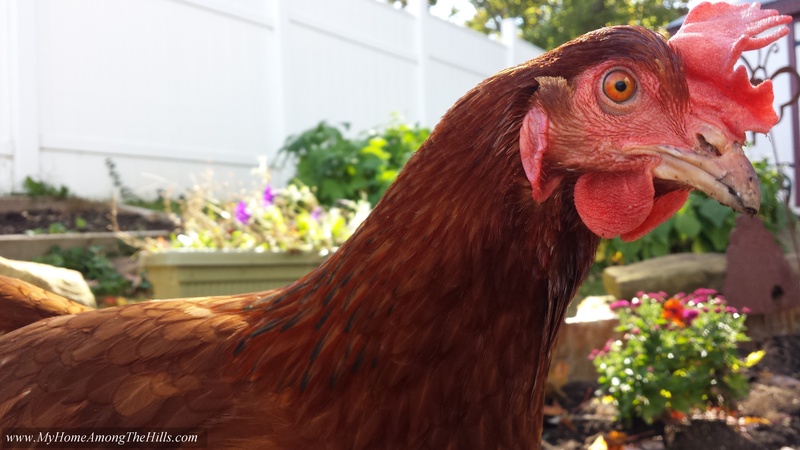 I dig my chickens and am delighted to learn new stuff about both the chickens and their eggs!